Colorado Springs is a hub for fantastic coffee. 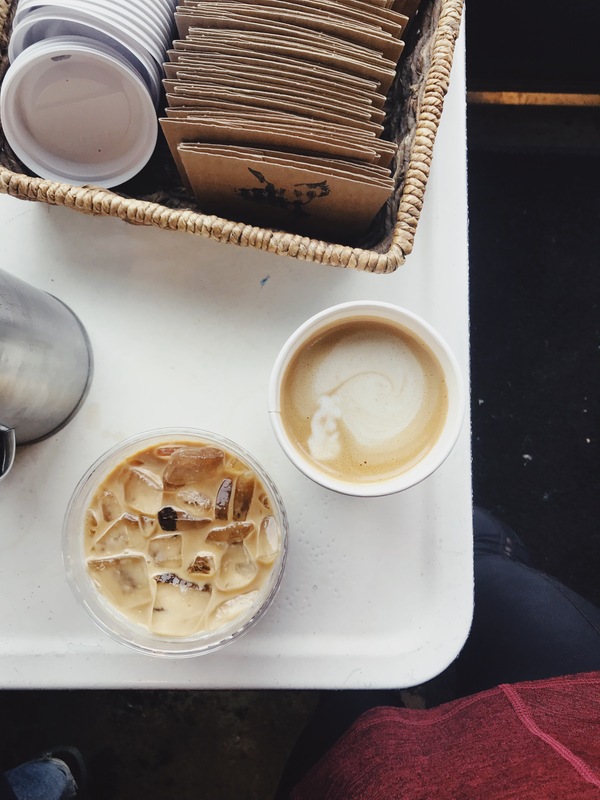 Since moving here, I’ve spent many days working in coffee shops + sipping delicious lattes. Today I am sharing my 5 favorite places to go for an espresso in the beautiful CO Springs! Enjoy friends. 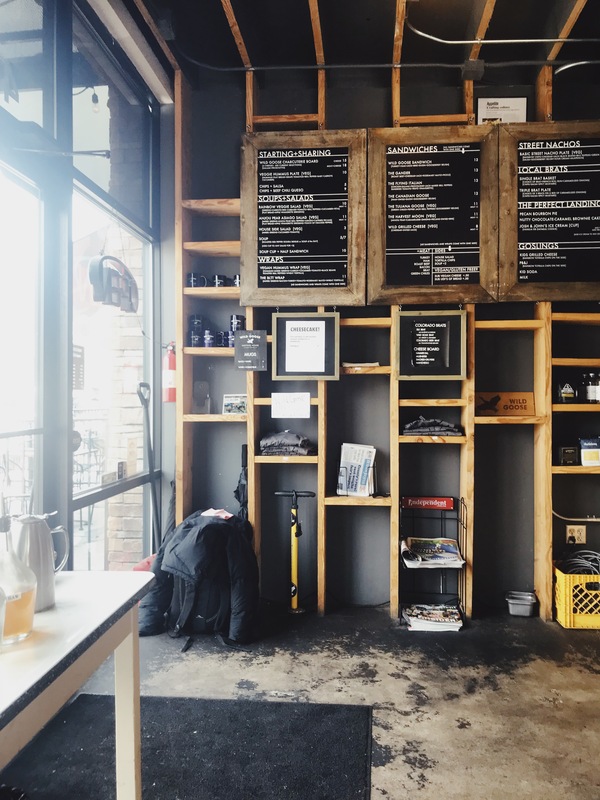 This coffee shop—known for their locally roasted coffee and freshly baked toast (aka the best place for brunch in Colorado Springs)—is located right in the heart of Downtown Colorado Springs. 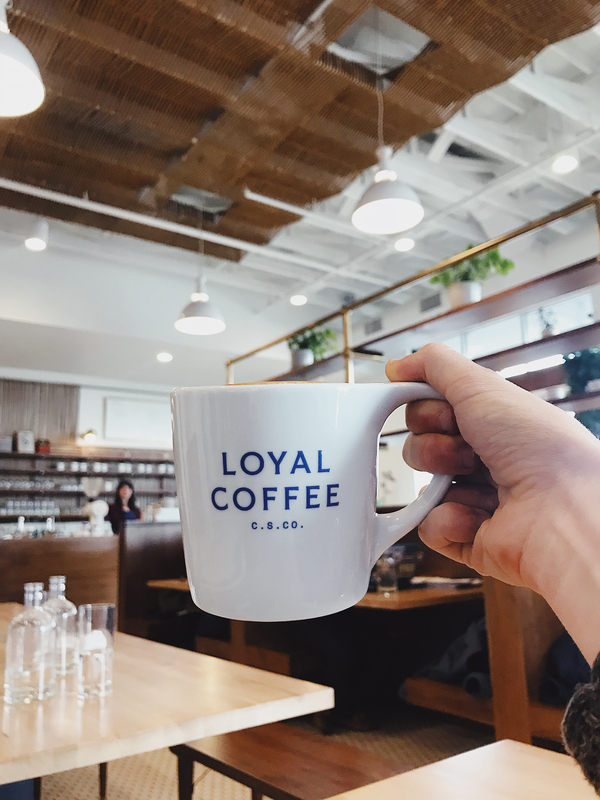 Loyal Coffee roasts their beans inside the Ivywild School in South Colorado Springs—so it is always fresh and full of flavor. 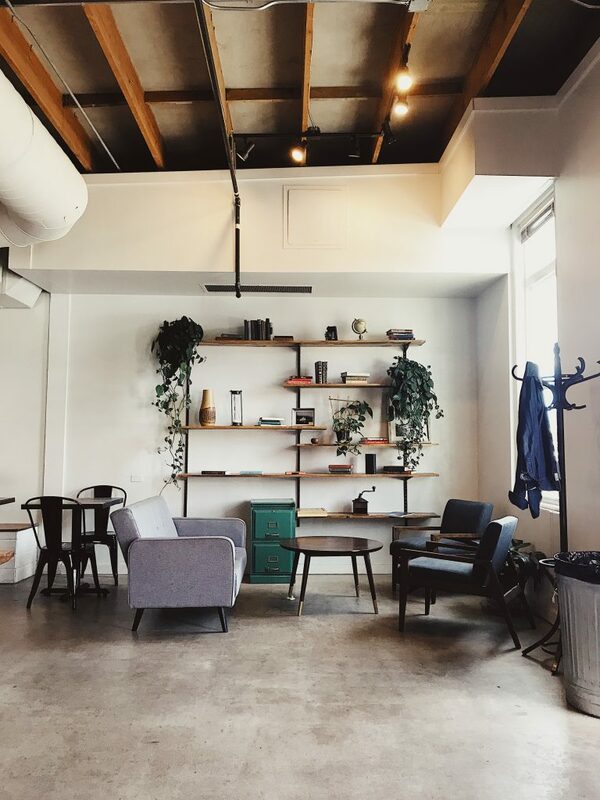 The inside of Loyal Coffee has a minimalist-industrial feel with huge windows, open tables, and little stools. I love the natural lighting in this cafe and the baristas are always so friendly. My favorite thing to order here is their almond milk latte. 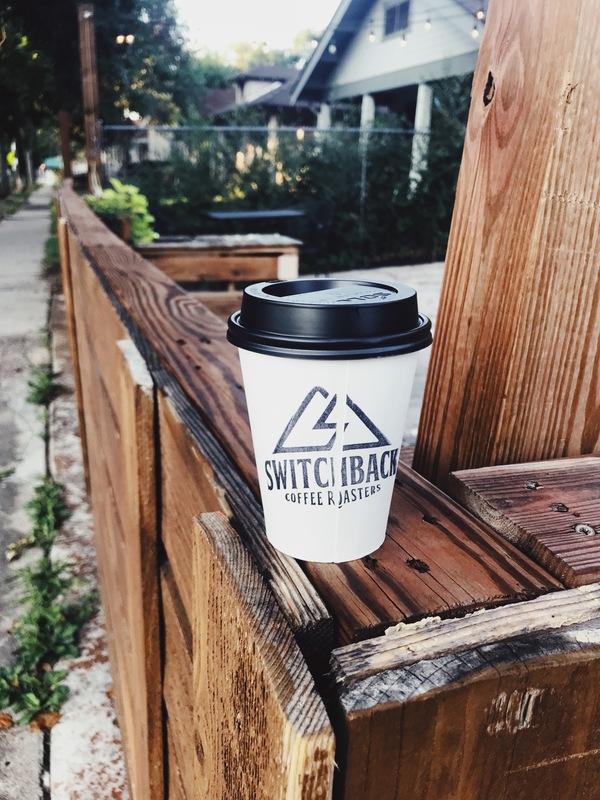 Switchback is located right outside of Downtown Colorado Springs and is the place to go for high-quality, rich, coffee + espresso. 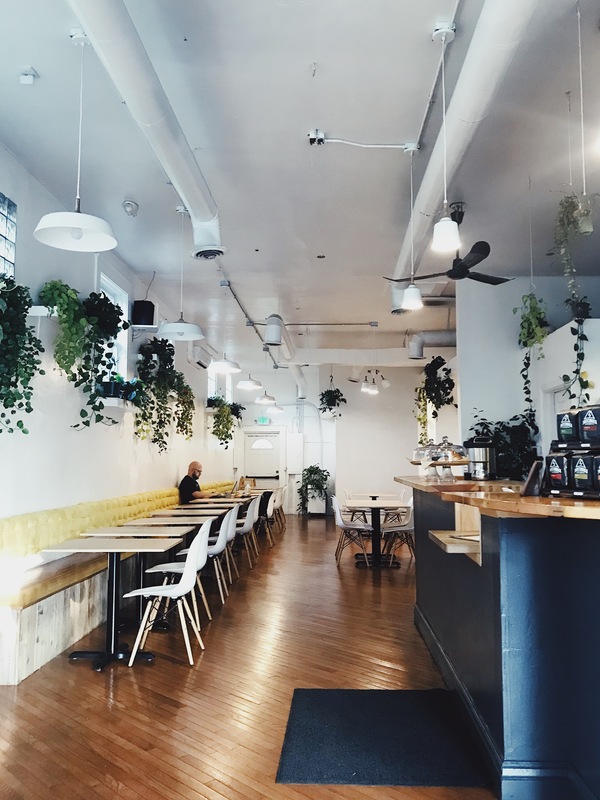 Their building has minimalist feel, is filled with natural lighting, and tastefully decorated with greenery inside the cafe. There are lots of little tables—both indoors and outdoors—perfect for meet-ups with friends or a long study session. My favorite thing to order here is their almond milk cappuccino. 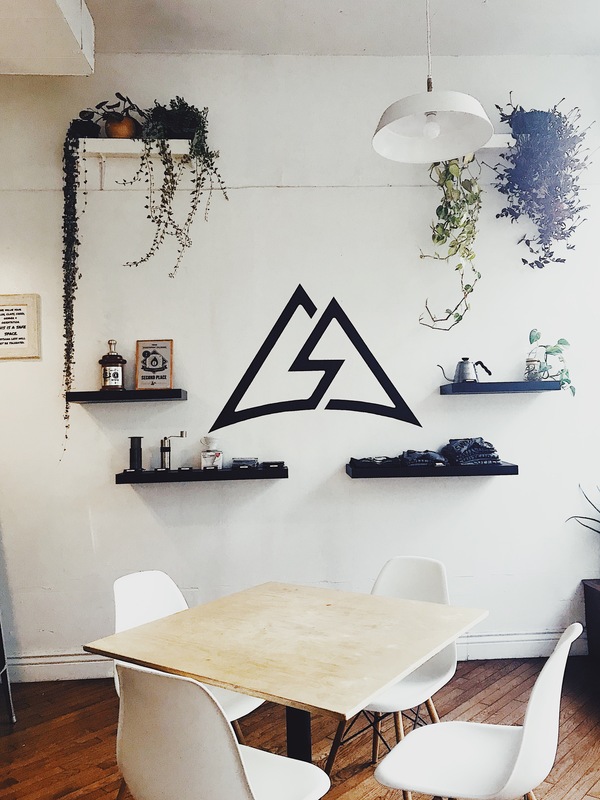 This “meeting house” is the place to be if you’re looking for good coffee + music during a weekend in the city. 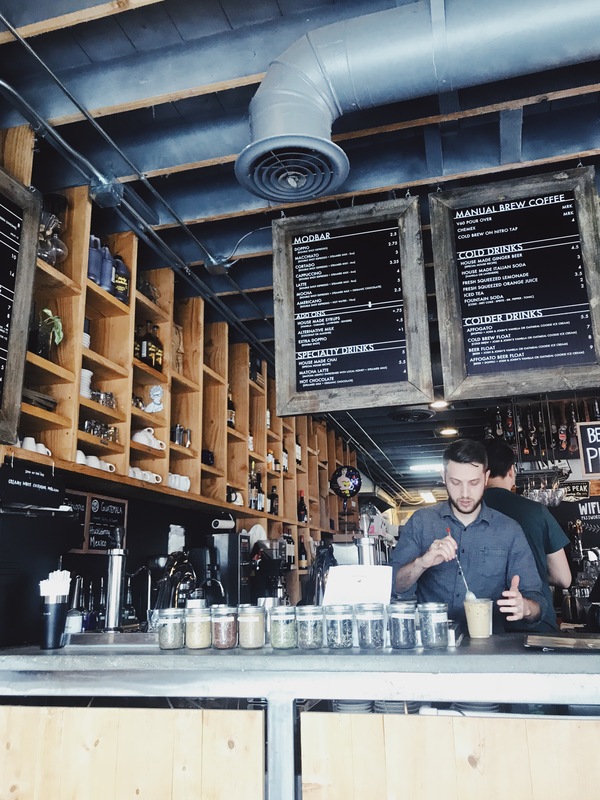 Located in the center of Downtown Colorado Springs, Wild Goose has everything from specialty coffee to fancy sandwiches, to a varied selection of local Colorado spirits. 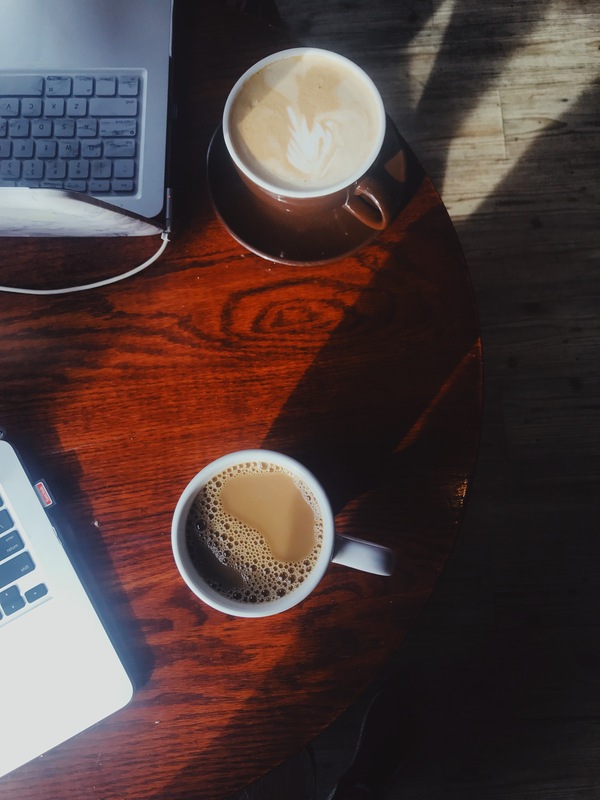 During the day, Wild Goose is filled with people cozied up with a good book and big espresso drink. In the evening, you can find a crowed gathered around a local musician, enjoying a drink or plate of nachos. My favorite thing to order here is their almond milk latte with lavender house made syrup. The Perk Downtown in my favorite place to go for meetings. 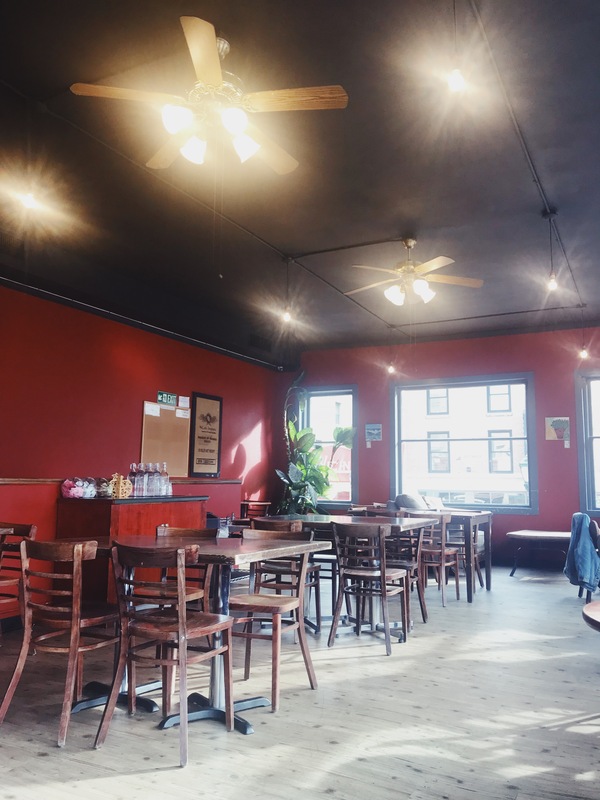 This two-story cafe is conveniently located right in Downtown Colorado Springs and offers lots of space for privacy. 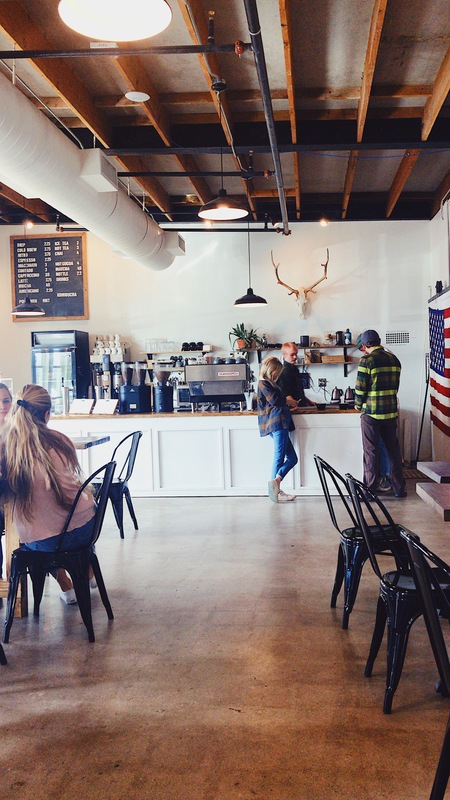 The building has a cozy coffee-shop feel with an artsy flare. They offer everything from signature espresso drinks to casual drip coffee—and even sandwiches + snacks if you start to get hungry! This coffee shop is such a hidden gem. 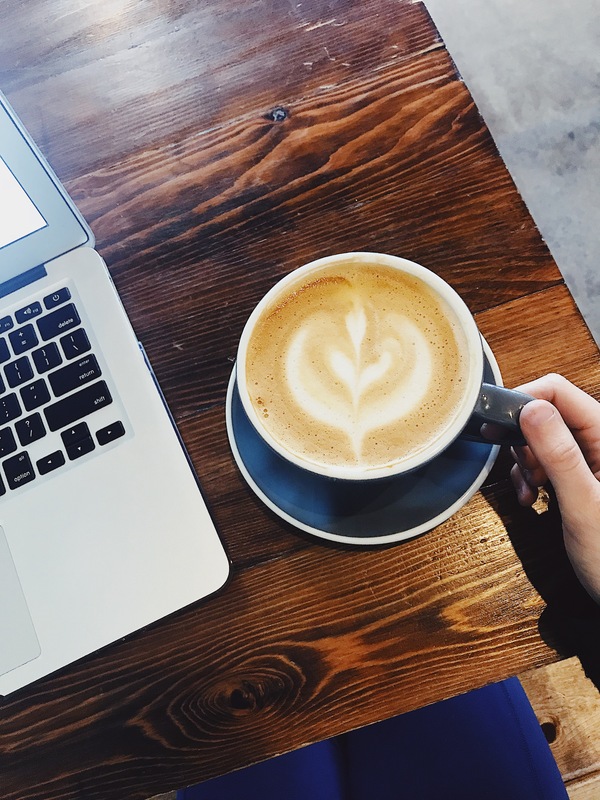 Located inside the Lincoln Center outside of Downtown Colorado Springs, Building 3 Coffee is my favorite place to go when I want to change things up, get work done in a quiet atmosphere, while enjoying a fantastic espresso drink. Building 3 roasts it’s beans in-house and was voted “2017 Best Roaster in Colorado Springs”. The coffee shop has a clean, industrial feel and smells of rich espresso. 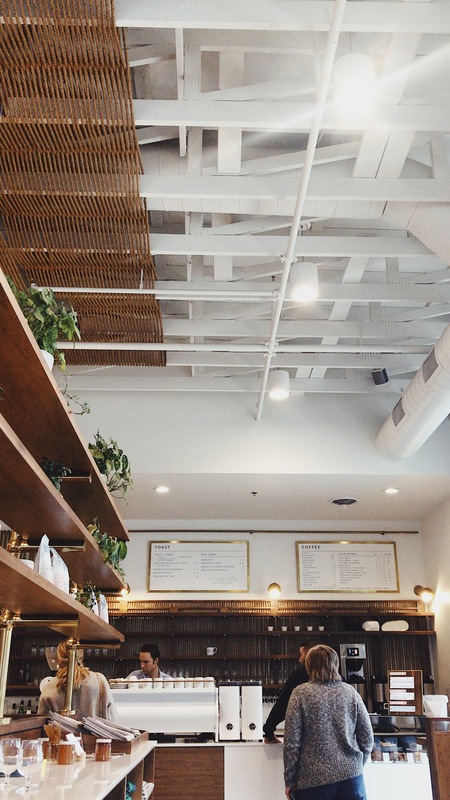 Grab a coffee, a snack, or even a cup of kombucha at Building 3 Coffee. My favorite thing to order here is their oat milk latte with whatever seasonal homemade syrup they have available. I hope you enjoyed my post! 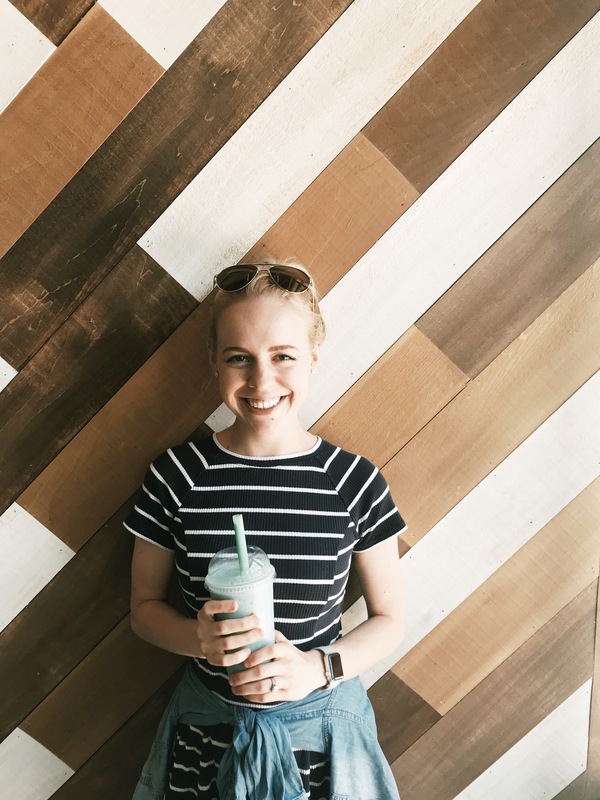 Be sure to leave a comment letting me know what you think, or if you have any other coffee shop suggestions in CO Springs!